A Canary is a member of the Finch family. Canaries breed readily, which keeps their population high. The canary is a bird native to the islands it's named after. A canary is a domesticated songbird famous for producing complex and often pleasing trilling songs. Typically, only males sing, although hens have been known to produce songs, and the genetics of a hen play a role in the quality of song produced by her offspring, even if she does not sing herself. They can be found in homes all over the world, and in a few regions, the birds have escaped to form feral colonies. These birds are in the finch family, and they are a domesticated form of the wild canary, a song bird that was first discovered on the Canary Islands in the 1600s. Sailors started to tame the birds and keep them as pets, and when they were introduced to the mainland, they proved to be a big hit. Initially, the birds were rare and extremely expensive, because breeders only sold males, but once females became more widely available, they became much more accessible, although they continued to be especially popular among the nobility, as numerous portraits from the 1600s attest. Canaries are divided into categories based on their song, type, and color. Song birds are split into rollers and choppers. Rollers sing with their beaks shut, producing a melodious extended trill, while choppers have more abrupt songs, created with their beaks open. 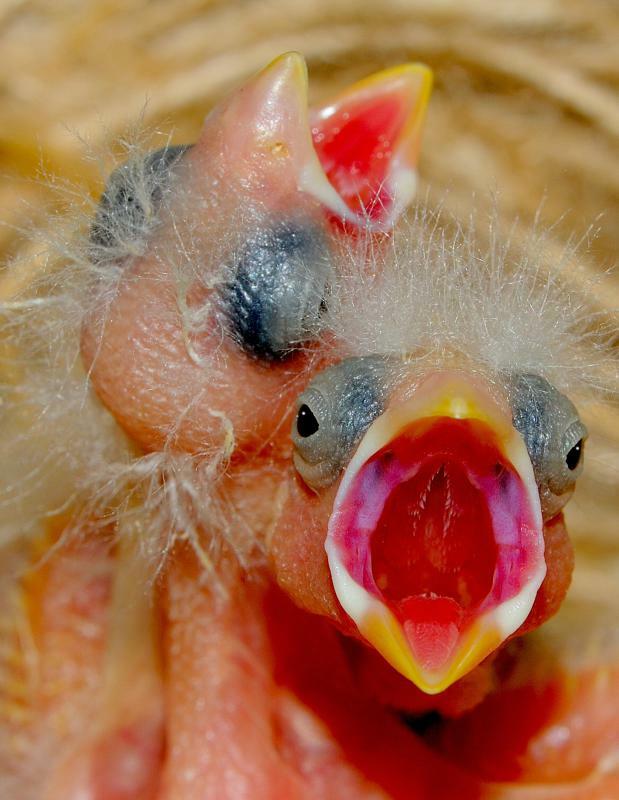 Canaries bred for a specific type display various physical traits, while color ones are bred for unusual color variations. Beyond the classic yellow, canaries can be orange, white, greenish, brown, red, and striped, with unusually colored birds often commanding a high price. The birds proved to be hardy after domestication, living up to 15 years in captivity, and they also breed readily, making it easy to maintain stocks and to breed for especially desirable traits. 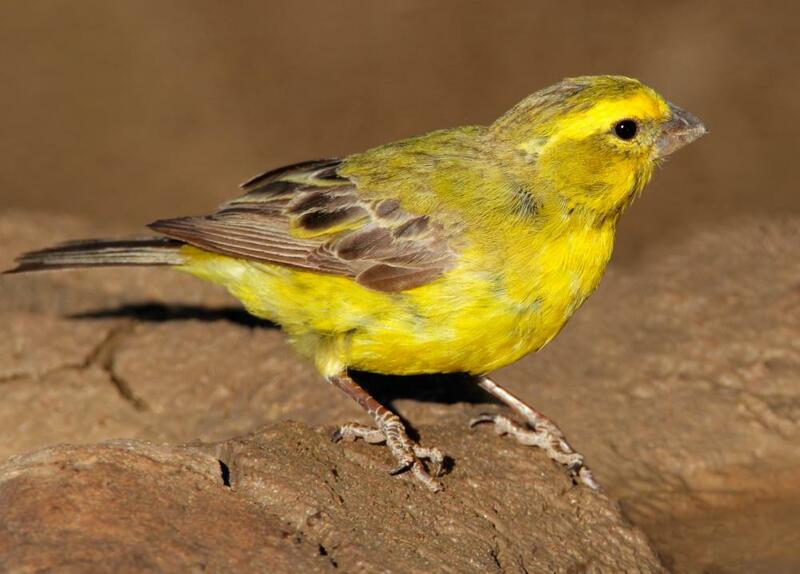 The modern domesticated canary is markedly different from its wild ancestor, with domestic birds tending to be larger, and producing much more beautiful songs, as well as coming in a range of colors. Many people enjoy keeping them, appreciating their sweet songs and cheerful demeanors. As a general rule, it is best to keep at least two canaries, if not a group. A lone bird will not always sing, because he has no incentive to do so, since there are no females around. A group, on the other hand, will be quite vocal, producing a wide assortment of songs and displaying a range of personality types. Many pet stores sell these birds, along with supplies like cages, seed, and toys. Who is the Birdman of Alcatraz? @SarahSon-- I'm not sure about finches in the wild, but I have a female canary that does sing. I have been told this is rare, but she has sung ever since I got her. I have a male and a female and the male does sing more often, but she will sing back once in awhile. I saw a canary for sale online and went to check it out. The lady who was selling them had this pair for about 5 years but was going to be moving and didn't want to take them with her. Knowing they have a long life span I went ahead and bought them and have been so pleased with them. They are easy keepers and really brighten up my small home. Every pet takes some kind of maintenance and work, but I think this effort is well worth the rewards they give. Since canaries are a part of the finch family, does that mean that only the male finches in the wild sing as well? I have a finch feeder in my back yard and enjoy watching these bright yellow and blue birds come to the feeder. I also love to hear their song, but don't know if it is just the male singing or not? At one time I thought I would enjoy having a couple of canaries but changed my mind after visiting a friend who had several of them. Maybe it was because she had so many of them, but I found them to be too distracting. The only time they were quiet was at night when the house was dark and their cage was covered. I also realized I would probably get tired of cleaning out their cages all the time. I am really glad I realized this before I went out and invested in the birds, cages and accessories. For now I am just happy with my little dog and think he is a more suitable companion for me. I live alone and wanted some kind of pet but didn't really want to be tied down with a cat or dog. I love to feed and watch the birds outside so my daughter suggested I get some birds inside. It turned out to be the perfect solution. I have two yellow canaries, a male and a female, and they are great companionship for each other and for me. Even though I have only heard the male sing, it is so pleasant to hear him sing and watch them interact together. I enjoy the cheerful song and am entertained watching them. @JanAir - I heard that a singing canary will stop singing from time to time and that is perfectly normal. A lot of people get concerned, but they are supposed to do that. They are also supposed to love performing for their owners so they really like to receive a lot of attention. 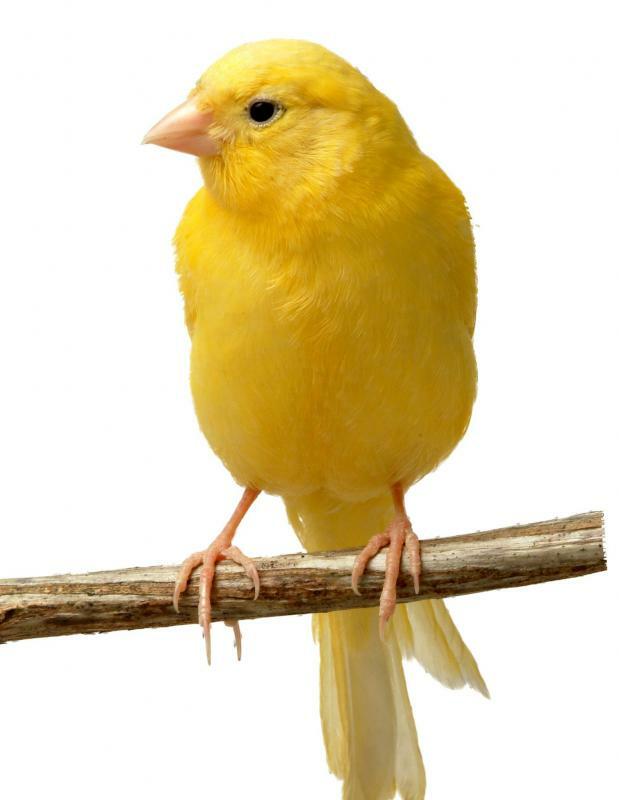 A friend of mine has canary finches and she says that they can eat the same food that a regular canary eats, but the regular canary cannot eat the same food that the finches do. Some seeds are troublesome for the canary so it is better to avoid mixing their food. She had a pair of them and they were so cute. I think it is better to have more than one canary because this way they have a mate and can enjoy themselves more. @sunnySkys - That is an upsetting allergy. I have allergy induced asthma too and I know how tough it can be to tell someone you can't come to their house because of their animals. 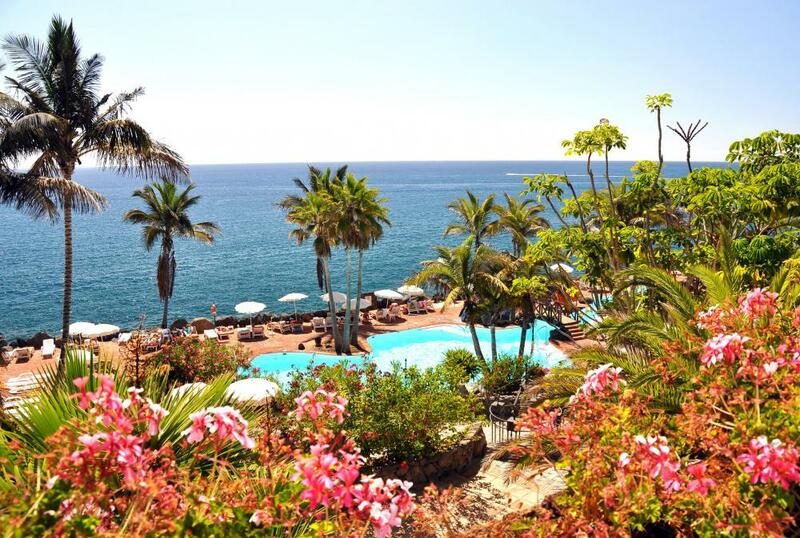 As far as the canaries, I really don't think you're missing out on anything. I've been around canaries before and I found them to be fairly annoying. They were just too noisy for my tastes. I'll take a cat for a pet any day! When I was in high school one of my good friends kept a canary as a pet. This was how I discovered my unfortunate canary allergy! Coming anywhere near a canary sets off my asthma something terrible. I was actually unable to visit my friend at her house until she gave the canary away due to unrelated circumstances.